BBC One - Shark - What makes a shark? A closer look at what defines a shark. Sharks and rays come from one big family that evolved over 400 million years ago. Today they come in a variety of shapes and sizes. But with 510 species of shark and 650 species of ray, what do they really have in common? Well, all sharks and rays share some fundamental features. ...with 510 species of shark and 650 species of ray, what do they really have in common? They both have a skeleton made of cartilage, similar to what human ears and noses are made of. It’s strong and flexible and means they can turn quickly when chasing prey. A ray is essentially a flattened shark. They still have the same flexible skeleton, but it has been squashed and stretched and the pectoral fins have developed into “wings”. They both have unique skin that is covered in tiny modified teeth. These teeth reduce drag and make the shark swim faster. All sharks and rays have teeth – even the ones that eat plankton! But in these filter feeders, the teeth are tiny and not used in feeding. Shark teeth vary in size and shape according to what they eat. Some have “crushing plates” that crush their shellfish prey.Unlike humans, sharks and rays never run out of teeth, as they are endlessly replaced. Both sharks and rays have gills. Most have five but a few species of shark have six or even seven. On a shark the gills are found on both sides of the head, whereas in rays they are found on the underside of the body. The gills are packed with blood vessels, which absorb oxygen from the seawater. This is how they breathe. Some species must continually swim to breathe – if they don’t they will suffocate. But some species can pump seawater over their gills by opening and closing their mouths, which means they can sit on the seabed for long periods of time. Find out more about sharks' winning body design. Sight - some can see in colour and exceptional detail, and most can see in the dark. Smell - they can find where a smell is coming from depending on which nostril the smell reaches first. Hearing - they have very good hearing and can hear sounds from miles away. Touch - their teeth and skin are crammed with nerve endings that respond to the slightest touch. Taste - taste buds in their mouth tell them if something is good to eat. Pressure - a lateral line allows them to detect changes in water pressure, so they can sense ripples given off from struggling prey. Electroreception - lots of tiny gel-filled pores on their head can detect the tiniest of electrical fields – even the heartbeat of a fish hiding in the sand! All of these senses combined make sharks and rays supreme ocean predators. Sharks and rays all produce young. But there is more than one way to do it. Around 40% of species lay eggs and the tiny embryo gets all its nutrients from a yolk. When all the yolk has gone, the shark will hatch as a fully formed miniature shark. Around 10% of species give birth to live young, just like humans. The tiny embryos are nourished by their mother through shark versions of a placenta and umbilical cord and when fully grown, the mother will give birth. But around 25% of species use a mixture of the two methods. The mother will carry her eggs inside her, and when the embryo is fully formed, they will hatch into her uterus before she then gives birth to them. The Ragged tooth shark uses this method of reproduction, but gruesomely the first pup to hatch out of its egg will then eat its unborn siblings! 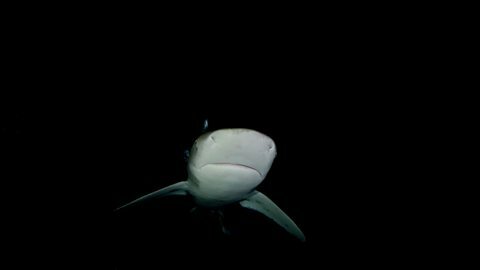 Find out why sharks are such successful predators on iWonder.